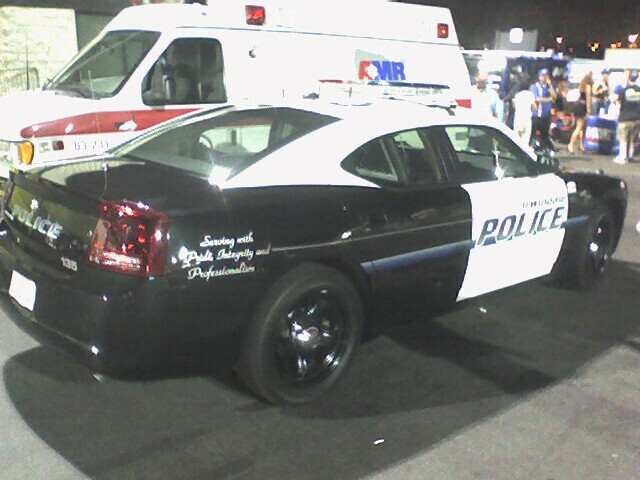 Irwindale Police Dodge Charger. It had some pretty pimpy paint. The black was metallic, and the white was a pearl white. The steelie wheels are 18 inch. Some new beside the Ford Crown Vics.